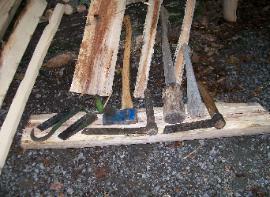 Splitting tools for gathering bow stock. Shenandoah Valley near Luray, Virginia. 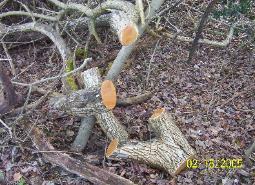 the favored wood for bows is Osage Orange and Yew. permission to take some of the debris and from that.